There are over 800 species of ticks found worldwide. Here’s how to get rid of them in your yard using proven, organic and natural techniques. 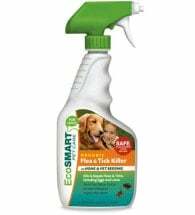 A blood feeding external parasite of mammals, birds and reptiles, ticks are important vectors of disease causing agents. They attach firmly to their host, feed slowly and may go unnoticed for several days while feeding. As a result, ticks transmit the widest variety of pathogens of any blood sucking arthropod. Some human diseases of interest include Lyme disease and Rocky Mountain spotted fever. Adults (1/4 inch long) have eight legs and are reddish-brown with white or yellow irregular markings on their body. Females are slightly larger than males, and can grow as large as 1/2 inch long after a blood meal. To feed, they grab onto a host, secrete an anesthetic and painlessly burrow into the skin with their mouth parts. Bites can cause skin irritations or even allergic reactions in some people. Note: Ticks are divided into two groups: hard and soft. Hard ticks have a shield on their backs and are tapered at the head end; they are the most easily recognized by people. Soft ticks lack the shield-like plate, have a blunt head end and look like pieces of bark or debris. Both groups are important vectors of disease. The widely distributed American dog tick overwinters in all stages, except as eggs. Adults are prevalent in the spring, and after obtaining a blood meal and mating, females deposit up to 4,000 eggs in large masses on the ground. Hatching occurs in 30 or more days, and the 6-legged larval stage crawls onto surrounding vegetation where it clings to any passing animals that rub against it. After a 3-12 day feeding period, larvae drop off and molt into 8-legged nymphs. After feeding on yet another host, nymphs again drop off and molt into young adults. The cycle may be completed during a period of a few weeks to a year or more. Keep grass and weeds trimmed and remove wood piles to reduce harborage for tick hosts. Whenever possible, stay out of pest infested areas, grassy pastures, prairies and wooded areas. Restrict movement of your pets. When entering infested areas, wear long-sleeved shirts, and long trousers with tight-fitting cuffs. Wear light-colored clothing. Ticks are easier to see on a light background. 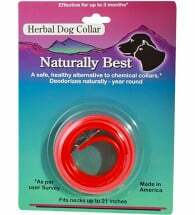 Use Herbal Pet Collars, or one of our other least-toxic products to protect dogs and cats. 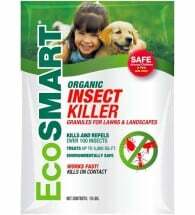 Broadcast EcoSMART® Insect Killer Granules around foundations, lawns and landscapes to eliminate or repel all kinds of problem pests. Spray pet bedding and kennels with plant-based formulas specifically designed to keep these unhealthy nuisances at bay. 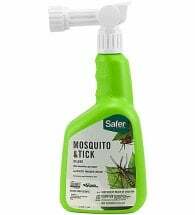 Containing no harmful residues, they are SAFE to use around homes, children and pets. 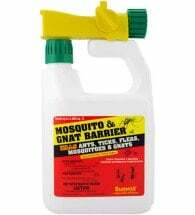 Broad spectrum, organic neem oil disrupts the growth and development of pest insects and has repellent and anti-feedant properties. 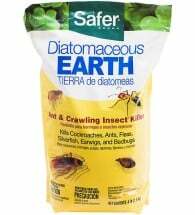 Best of all, it is non-toxic to honey bees and many other beneficial insects. 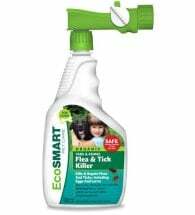 If pest populations become intolerable, spot treat problem areas with a fast-acting botanical insecticide such as Safer® Mosquito & Tick Killer. 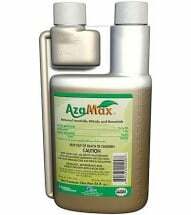 This natural spray persists for about two weeks and has less toxicity than commercial chemical pesticides. 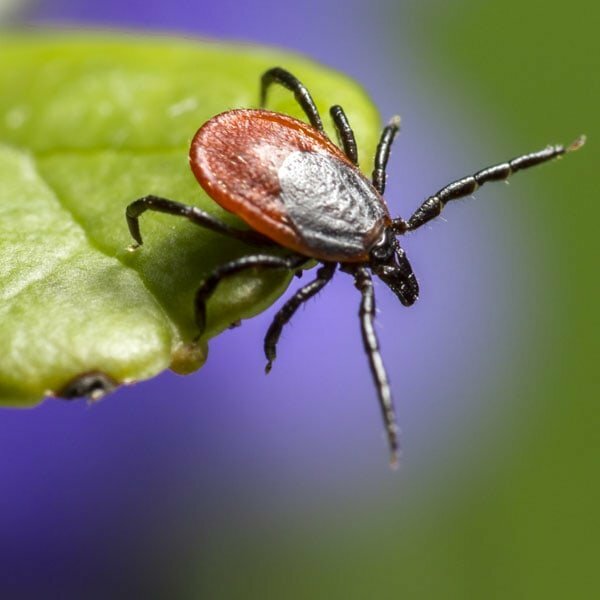 Tip: Frequent inspection and quick removal of ticks reduces the chance of infection by Rocky Mountain spotted fever, Lyme disease and more. In addition, the risk of getting a tick-borne disease is related to the length of time it spends feeding. Using tweezers or rubber gloves (avoid touching with bare hands), grasp the tick close to the skin, and with steady pressure, pull straight out. Do not twist or jerk, as mouthparts may be left in the skin. Take care not to crush or puncture the pest during removal — fluids can be infectious. After removal, thoroughly disinfect the feeding site and wash hands with soap and water.